I just couldn't seem to narrow down my last homeschool essential to one "C." My hubby and kids thought it should be CHOCOLATE. :) And, you know, a bag of Valentine Hershey's Kisses is sounding pretty yummy right now. Thank goodness it is almost grocery shopping day! Anyway, back to Consistency + Creativity - they're essential to my homeschool, and I really can't have one without the other. Though not alike, they compliment each other. When I think about this topic, nature and God's amazing handiwork come to mind. Nature provides a lot of consistency like seasons, sunrises and sunsets, night and day, and weather patterns, etc.. There's comfort in consistency. I think people, overall, like predictability, at least in some things, right? I think it's safe to say that most people have a daily routine of some sort. We like to have a plan. We like to know what to expect. No surprises. That sort of thing. Especially people with my personality! I'm a park-in-the-same-place-at-the-store and sit-in-the-same-chair-at-church kind of person. ;) Are you? Nature also displays much creativity. I like to think of it as "creativity within the boundaries of consistency." Unexpected joys or changes but not outside the confines of our comfortable world of consistency. What I mean is this: every once in a while a rainbow might appear in the sky, and if you're like me, you are willing to drop everything to run outside with camera in hand, snap a few pictures, and then bask in its beauty until it completely fades away. That gorgeous rainbow breaks up the monotony of the same old sky you're used to seeing everyday. And believe me, in the Arizona desert, a change in the sky is quite a welcome sight!! Sunrises and sunsets demonstrate the consistency/creativity concept as well. They happen everyday around the same time (consistency), yet they are all unique (creativity). Each one is like a glorious new painting crafted by our Creator. There's revivification in creativity. Creativity awakens and stimulates the senses breathing fresh new life into the spirit. It puts a smile on your face and puts a spring in your step. A burst of creativity is sometimes the perfect thing to help you keep on keepin' on! Ya know? Okay, enough of the nature metaphor, although this literature loving girl could stretch it out even further . . . but, don't worry, I won't. 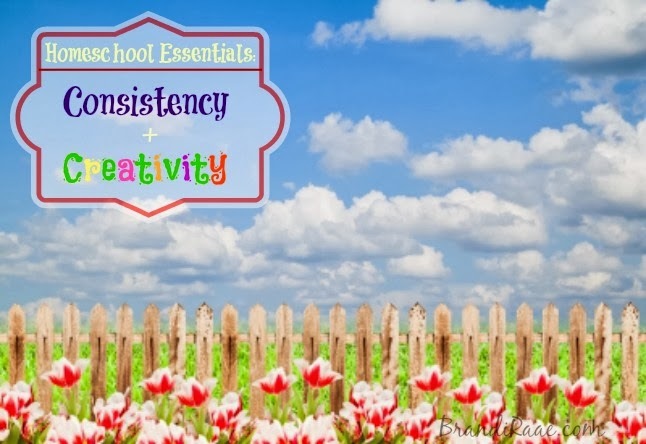 ;) So how does consistency + creativity work in a homeschool environment and why is it essential? While consistency is wonderful, it can eventually lead to monotony, boredom, and going-through-the-motions syndrome. This is when consistency needs a little kick in the pants, and an extra spark of creativity is just the solution! Creativity in homeschooling means doing something a little out of the ordinary to jazz things up a bit. Jazzing things up a bit is essential in order to avoid BURNOUT! It's a bit more difficult to come up with a nice, neat list for this because creativity is, well, creative. The possibilities are endless, but I will list some things I've done, do, and maybe want to do when consistency becomes a crisis. Surprise the kids and take them out for lunch instead of eating the same old thing at home. Eat lunch at the park. Watch a Ben and Jerry's documentary while eating Ben and Jerry's ice cream! Instead of doing a map worksheet, make a geography cookie. Surprise the kids with a half day. Replace one subject for the day with a board game and play together as a family. Have a spontaneous history lesson about chocolate and then go and get some! Learn to speak a different language together and make it fun. Read all of the Disney Fairy books out loud, make fairy food, and design a fairy garden. The ideas could go on and on, but I think you get the idea. For me, just doing an art project with my daughter is creative because we don't include this in our daily routine. Trust me, I am NOT creative every day. I don't have the time, resources, or energy to continuously be creative. 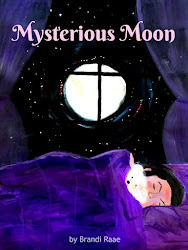 A spark of creativity every now and then makes homeschooling life fun and exciting. 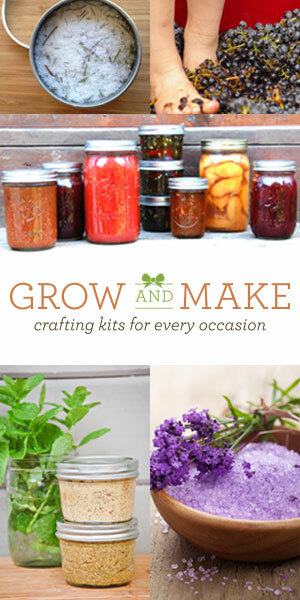 What do you do to add creativity to your homeschool? So, as you can see CONSISTENCY + CREATIVITY are absolutely ESSENTIAL! 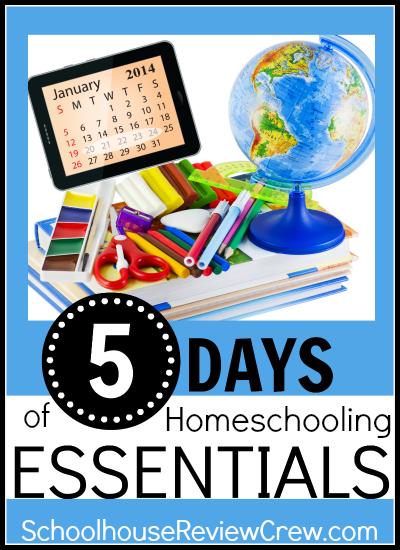 Find out what's essential for other homeschool moms by visiting the Schoolhouse Review Crew. Here are just a few of the participating blogs . . . I think a nice balance between consistency + creativity are absolutely essential! Know what is required keeps things running smoothly while shaking it up a little bit keeps the excitement! Great post! You and I have a lot in common. I laughed out loud when you said you park in the same spot at the store when you go.. that's so me.. :) Great post.. 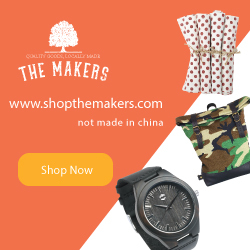 Thanks for sharing..
Love your post!This is something I need to improve in.